Tracy D. Rezvani counsels and represents clients in commercial and consumer litigation involving false advertising, mass torts, data breach and privacy violations, and whistleblower claims. 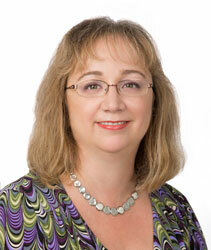 Ms. Rezvani is also an American Arbitration Association certified arbitrator and mediator. She writes, speaks and advises regularly regarding consumer and cyberliability matters. Ms. Rezvani has prosecuted complex litigation matters and helped achieve millions of dollars in awards on behalf of clients. She has been appointed to lead counsel or steering committee membership roles in class and mass actions in courts across the country, including In re: Science Applications International Corp. (SAIC) Backup Tape Data Theft Litig., MDL No. 2360 (D.D.C. ); In Re: Avandia Mktg, Sales Practices And Products Liab. Litig., MDL 1871 (E.D. Pa.); In Re: Darvocet, Darvon and Propoxyphene Products Liab. Litig., MDL 2226 (E.D. Ky.); and Chaney, et al. v. Capitol Park Associates, L.P., et al., No. 2012 CA 005582 B (D.C. Superior Ct.). Ms. Rezvani is a shareholder of Rezvani Volin P.C.